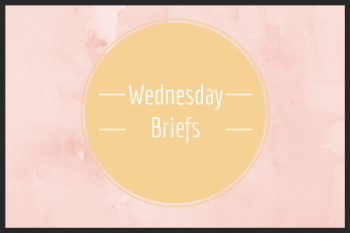 Welcome to my weekly Wednesday Brief flash fiction entry! This is just a free piece of flash fiction (between 500-1,000) words based off of a prompt. I’m part of a wonderful group of flashers 😉 and I’ll have a link to a site where you can read other stories, after my piece. Three days after my eighteenth birthday, my parents tried to kill me. They didn’t even have the shame to be subtle about it, and I don’t blame them. The second of three children, my older brother disowned and in hiding, they had a social responsibility to destroy their second mistake. By any means necessary. I survived the gunshots, the attempted poisonings, the ‘therapy’, that was little more than beatings and torture. I went through two room-mates, still proud of what I was, until the third lay bleeding on the concrete floor, convulsing, spit and brains leaking from their open mouth. I renounced the magic pretty quickly after that. Buried it deep in my soul, forced myself to be normal. No longer did I take joy in the storms that danced across the sky, feeling the electricity tingle on my skin, the gentle pleasure that I took from the rain on my face. I stopped dancing when the clouds gathered, avoided the puddles, rather than splattering the clean, fresh water over the people who walked near me. I fought to quiet the storm raging inside of myself, the one that longed to set siege to those around me. I longed to follow in my brother’s footsteps and disappear into the night with the natural flair that he possessed. Submission was my only choice. I accepted the uniform of those who were tainted, those touched by magic. White tights, brown shoes, a brown skirt that grazed my knees, a brown button up shirt, always closed at the neck and sleeves. My hair was long, kept in a braid. I stuck out like a sore thumb amongst the throngs of colors and patterns, blending into the infrastructure of buildings and society. Even if I did manage to obtain ‘normal’ clothing, the brands on my arm would still mar me, destroy the illusion that I too, belonged. My parents ignored me, in a fragile attempt to remain on the fringes of society. My brother, Jared was a beast master–able to call and control beasts and creatures of ancient stories. And I? I had been storm touched. Our magics were the most feared next to the necromancers, who were often killed when birthed. I found work at the library in the center of town. It was an old building, made of crumbling brick rather than steel and glass. My job was simple and monotonous, read and censor the old works. If anything went against the code of ethics, or personal codes that were drilled into us from a young age, it was to be marked out. If a book contained three strikes, it was to be destroyed. “Brooke, you can go home. We have to close early.” Martine was the only one who spoke to me with any sort of compassion. “Why?” My fingers traced along the lines of print on the worn pages. “You never close early.” I forced my gaze upward to look at the elderly woman draped in the doorway. “How can they enforce curfew if they’re the ones creating the dark?” I closed the book with more force than necessary, the table shaking under me. “I’m not considered a child anymore.” My birthday had come and gone, and at nineteen considered an adult by the government. “All the more reason.” She said pointedly. I slid the book into my backpack, she pretended not to notice and I left. The bus was packed with people, busily going on with their days. Announcements of the blackouts blared out of the public alert system, but they only mattered to me. I got home, finding the house empty, my portion of dinner on the table cold. I took it up to my bedroom after heating it, locking the door behind me. The bed groaned as I sank down onto it, cross-legged, plate balanced in my lap. The lights whirred, before going out, casting my room into absolute, impenetrable darkness. I continued to eat, not bothered. The darkness, in a way was comforting. I didn’t have to focus on anything other than my own breathing, and the press of nothingness around me. Food finished, I put the plate on the floor and laid back on my bed, willing sleep to take me early. Brilliant light flooded my room, blinding me momentarily. The scent of smoke assaulted my nose, and I coughed, blinking and straining against the flood of illumination. It pulsed, then faded to a more manageable light, then dimmed more, flickering like the flame of a candle. In the center of the light stood a girl who looked to be my age. She glanced around, and then turned her attention to me. “Lovely place, isn’t it?” Her smile was crooked and there was a gap between her two front teeth. My living space seemed worse in the flickering light–a bed with thin blankets, a battered wardrobe and a stash of hidden, stolen books. Her head tilted slightly, studying me through narrowed eyes. “Brooke, your brother sent me for you.” Something low in my gut twisted when she said my name. No one called me by name except for Martine. Some nights I’d whisper it into the dark, just so I could remember the sound. « Book Review: An Abundance of Katherines by John Green.